Coming soon…a new organization dashboard layout! Home arrow_forwardEmail Digest System Notifications Blogarrow_forwardComing soon…a new organization dashboard layout! 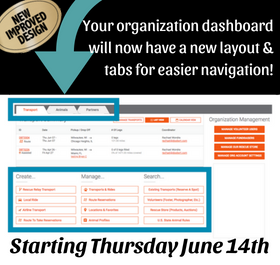 Starting Thursday June 14th the view of your organization dashboard will change. We are adding tabs and cleaning up the structure to make it easier to navigate and find the things that matter most to you! We look forward to making Doobert better, if you have suggestions, please let us know!